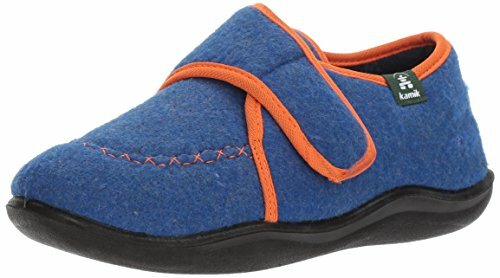 Warm up those tiny toes with a pair of cozy lodge kids’ slippers. Perfect for keeping small feet comfy during family game nights, these children’s slippers even have rubber outsoles so your little one doesn’t slip on the way to the kitchen to get more snacks. Featuring adjustable Velcro for an extra snug fit.